This Privacy Notice describes BUILDTALK.COM’s collection, use, and disclosure of the information You provide to Us through Your use of the Site or Service, as well as the rights You have with respect to Your Personal Data. For any questions regarding this Privacy Notice please contact Us at support@CONTRIB.com. We may share Your Personal Data with Our channel partners to fulfill obligations and requests, to deliver support, and to provide users and Our customer’s users with information about BUILDTALK.COM. BUILDTALK.COM does not control how a business partner may use Your Personal Data. Our business partners are responsible for managing the use of Personal Data collected in these circumstances. Information, including information collected in the European Economic Area ("EEA") may be transferred, stored and processed by Us and Our services providers in the United States and other countries whose data protection laws may be different than the laws of Your country. We will protect Your Personal Data in accordance with this Privacy Notice wherever it is processed and take appropriate steps to protect the information in accordance with applicable laws. These steps include obligations to both BUILDTALK.COM and You and available on BUILDTALK.COM. 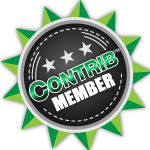 You may also request an executable version of BUILDTALK.COM’s Data Processing Agreement by contacting support@CONTRIB.com. You may use Our address book and contacts importer to upload Your contacts from other services into BUILDTALK.COM. When You import Your contacts, We may indefinitely store the contact information in Our database, including Your contacts' names, e-mails, phone numbers, locations, and relationships to You, subject to applicable law. We do not store any passwords You provide as part of the contact import process. After We import Your contacts, We will use this information to help Us establish networks of contacts, document relationships, facilitate referrals, and improve Our Site and Service. We may also use this information to show You and other users that You may know each other or have shared contacts. We rely upon You to obtain whatever consents from the relevant third parties that may be required by law to allow Us to access and upload the third parties’ names, e-mail addresses, and other contact information. You or such a third party may contact Us at support@CONTRIB.com to request the removal of this information from Our database. © Copyright 2019 Buildtalk.com. All Rights Reserved.